TO OUR ADVERTISERS WHO HAVE SUPPORTED SAN DIEGO PHYSICIAN MAGAZINE THIS YEAR. Please contact these vendors for your business needs. San Diego Medical Students Study Public Policy in Sacramento DR. ROBERT HERTZKA and SDCMS CEO Paul Hegyi led a total of 22 San Diego medical students on trips to Sacramento to meet with state legislators and learn firsthand about the legislative process and California public policy. Dr. Alex Quick and Dr. Holly Yang each accompanied Hertzka on a trip and the students met with Assemblymembers Todd Gloria, Lorena Gonzalez, Shirley Weber, Tasha Boerner Horvath, Joaquin Arambula, Sydney Kamlager-Dove, Evan Low, Cottie Petrie-Norris, and Jim Wood, and state Senators Brian Jones, Ling-Ling Chang, and Richard Pan. 1. Dr. James Grisolia, Dr. Mihir Parikh, Dr. Krupa Patel, and Dr. Arush Patel. 2. Dr. Cherine Moazam and Dr. Holly Yang. 3. Dr. Mark Shalauta, Dr. David Bazzo, Dr. Lori Taylor, and Sabrina Bazzo. San Diego County Medical Society members enjoyed appetizers, wine, and a private viewing at the National Geographic Fine Art Gallery in La Jolla during the most recent successful Physician Mixer. Thank you to our sponsor, Cooperative of American Physicians. ou know better than anyone — moments matter. Critical decisions about patient care can shape their future. At the same time, the moments that lead up to your moments matter too: The spark of inspiration that encourages someone to donate blood for the first time. The personal touch that leads to a repeat donation. And the precision and expertise that get blood products to your hospital when they are needed. Taken together, these moments change the course of life for people in our community. The impact of receiving the gift of health is on display in young people like Gabriella — “Ella” — Martinez, who battles beta thalassemia major. The first thing you notice about Ella is her bright smile. Behind that smile is a circle of givers — blood donors, phlebotomists, nurses, doctors, drivers, financial donors, medical technicians, and administrative professionals — who maintain the necessary blood supply Ella needs. Erica, Ella’s mom, didn’t know she carried the thalassemia trait until she was pregnant with twins. Still, the twins did not exhibit thalassemia during their newborn screenings. But then little Ella began to miss her regular growth milestones. At the suggestion of her caring doctors, baby Ella began receiving blood transfusion and started to improve. Ella calls blood “beautiful.” And donors who meet her feel the beauty in the process too. Ella often visits blood drives and donor centers to thank the courageous people who help her stay healthy. Enterprising Spirit of Discovery When David Wellis, PhD, joined San Diego Blood Bank as CEO in 2013, he brought more than 25 years’ experience in the life science industry, including developing tools for biomedical research and working in diagnostic and applied markets, such as Illumina, GenVault and Axon Instruments. He serves on the Executive Committee of the Clinical and Translational Research Institute at UC San Diego and holds board and committee roles in several national blood bank organizations and local biotechnology companies. Under Wellis’ leadership, SDBB collaborates with more than 100 research partners and universities on the design and execution of basic and clinical research efforts related to cancer, regenerative medicine, and more. From validating liquid biopsies and other blood-related diagnostic tests, to supporting cell therapy clinical trials for prostate cancer and melanoma, SDBB is a national blood bank leader in advancing wellness and the future of health. Decades of experience in regulatory and quality assurance, paired with a culture of discovery, make it possible for SDBB to develop custom solutions that save lives. patients worldwide. SDBB also makes cord blood cell fractions, plasma, and related components available to researchers. It’s the same infrastructure and scientific talent that can be leveraged to enable mesenchymal stem cell (MSC)-based therapies that include other indications such as cardiac, neural, and autoimmune disorders. Milk Banking In partnership with UC San Diego’s Mothers’ Milk Bank, SDBB has collected 11,165 ounces of mothers’ milk for babies in the neonatal intensive care units in San Diego. Mothers donate breast milk, which is then sent out for clinical testing and stored in reserves until it is needed at UC San Diego’s NICU. Pioneering Research SDBB offers a variety of blood and cell-based research products and services for researchers in academia and biopharmaceutical companies. The organization is a cGMP compliant facility which performs a variety of assay and analytical services on blood and cell therapy products as well as capabilities to access blood and tissue samples for genomics-based analyses. SDBB has a top tier regulatory team that can assist with IRB protocol preparation, consent, regulatory and quality review and support activities to address cGMP, state, and federal compliance needs. Taken together, these efforts support breakthroughs on the path toward healthier futures. The All of Us Research Program, supported by the National Institutes of Health, is a historic effort to gather data from 1 million or more people living in the U.S. to accelerate research and improve health. Taking into account individual differences in lifestyle, environment and biology, researchers will be able to home in on precision treatments for a variety of diseases. San Diego Blood Bank is partnering with Scripps Research Translational Institute and UC San Diego to enroll participants in the local San Diego area and through blood banks across the country. CEO David Wellis is a primary investigator for the study and on the executive committee for the program. •	is helping validate a new cancer immunotherapy that shrinks the size of tumors to make them operable, and is made using a small portion of the blood donation that was once considered medical waste? •	is collaborating on a research study to improve the storage quality of blood and platelets? •	helps company R&D teams test new medical devices related to blood products for both clinical and research use? •	partners with UC San Diego’s Altman Clinical and Translational Research Institute to conduct studies related to diabetes, cancer, and more? •	produces a product called Platelet Lysate used by researchers to, for example, to grow cells for basic and clinical research efforts to develop new therapies for age-related disorders and cancer? •	supports a researcher developing a new cell sorting chip technology that will enable researchers to isolate cells that could be used to develop new cancer immunotherapies? •	collaborates with a genetics-based company that developed an assay to screen men for prostate cancer risk? Beyond positive health outcomes, the greatest benefits to donors are sometimes intangible. Kathleen Winger is a shining example. The 29year old platelet donor found a reason to live by giving a part of herself to others. “Several years ago, I went through an incredibly devastating time when I was struggling to find a reason to stay alive,” she says. “The thought occurred to me that, although I may be useless in every other regard, as long as blood was running through my veins, I could be of help to someone in a very big way. Donating gave me a purpose for living and very quickly became my biggest passion.” Like many blood donors, Winger’s reasons for giving are simple: Because she can. Because people need it. Because saving lives is part of living her best life. 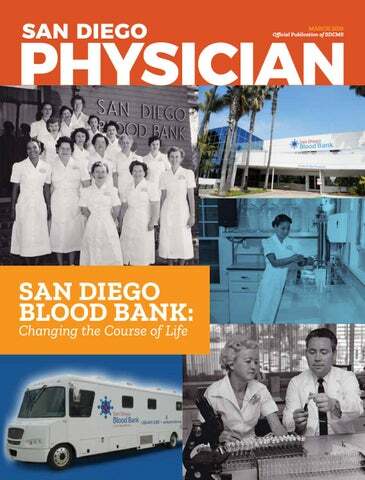 Philanthropy fuels San Diego Blood Bank’s mission and is at the heart of everything the organization does — from funding lifesaving blood collection systems and state-ofthe-art equipment to supporting innovation in cell therapy and regenerative medicine. Financial donors are saving lives today and improving lives tomorrow. SDBB’s Grateful Patient Giving program provides grateful patients and family members an opportunity to make a gift in honor of a blood recipient or to thank a blood donor or medical professional who has made an impact. To learn more about ways to make a financial gift, contact Sherry Serio at (619) 400-8188 or sserio@sandiegobloodbank.org. Or visit SanDiegoBloodBank.org/give. is being greatly impacted by San Diego Blood Bank. SDBB is dedicated to creating meaningful moments and supporting positive health outcomes for our entire community, including blood donors themselves. Blood donors receive a health checkup when they donate blood and can track their cholesterol, hematocrit and blood pressure in their online wellness tracker. In the future, SDBB plans to provide even more health-related data back to blood donors. in order to have proper cognitive, language, motor, and social-emotional development. In fact, we recommend reading to babies starting in the first months of life in order to build their vocabulary and encourage communication. Do screen time and media use help this development or hinder it? Research shows that babies younger than 24 months do not benefit from commercially available apps. Furthermore, screen use can replace essential activities like physical play, interacting with adults, reading, and sleep. There is emerging evidence, however, that babies as young as 24 months can learn words while interacting with an adult via video apps like Skype or FaceTime. The important component here is the interaction with an adult who is responding to the child’s cues. interested in social media (like me) play a big role in providing accurate and important health information, which can help them make healthy choices. How Can Parents Help? The American Academy of Pediatrics recommends no media viewing for children under 18 months. For children 18–24 months, interactive video chatting is acceptable and can help children learn language and form connections with family members. Children 2–5 years should have screen time limited to no more than one hour per day, and parents should be sure the content is high quality. Children in this age group will benefit most from co-viewing apps and programs with an adult who can explain to them what they are watching or learning. Young children should avoid violent and fast-paced content, and parents should avoid using screens to calm their children. Screens can sometimes come in handy like while traveling or at the doctor’s office, but as I stated at the beginning of this article, removing the device often results in a meltdown. Make sure to be very clear about the rules of using a device. For older children and teens, parents should monitor what their child is viewing, discuss privacy issues, and educate them on cyberbullying. Limits should be enforced so that screen time does not replace homework, reading, chores, or sleep. The AAP recommends having screenfree meals, zones in the home and times of the day. All screens should be off 30–60 minutes before bedtime. Pediatricians recommend that parents have a media/screen use contract with their kids. State the rules of use clearly and be sure to follow through with consequences if the rules are broken. Have expectations that homework, chores, and other activities like sports come first — and again, no screens at bedtime. With open communication and careful monitoring, kids can benefit from the connectedness of having a device. All data is directly from the American Academy of Pediatrics. No other sources were used. years’ wildfires. An application process for the more recent ones will be announced soon. The Future PHC is totally immersed in implementing its two new multimillion dollar programs, but within this year will look to our future and consider other ways this “public health arm” of the CMA can fulfill its mission and make California a healthier place for all. Please feel free to contact me with any feedback. I hope you are as excited as we are about your “Foundation.” Dr. Hay is a practicing family physician in Encinitas for more than 40 years, current chair of the Board for Physicians for a Healthy California, a former president of SDCMS (2001) and CMA (2012), and a former president of Champions for Health. YOU’RE A DOCTOR, NOT A COLLECTION AGENCY CAP’s FREE New Guide Lets You Focus More on Medicine and Less on Billing Request your free copy today: 800-356-5672 CAPphysicians.com/SDBG1 The Cooperative of American Physicians (CAP) provides California’s finest physicians with superior medical malpractice coverage and supplemental benefits. The Physician’s Action Guide to Smarter Billing is just one of the many benefits. Medical professional liability coverage is provided to CAP members by the Mutual Protection Trust (MPT), an unincorporated interindemnity arrangement organized under Section 1280.7 of the California Insurance Code. Project Access patients I had years ago. It is so rewarding to transform people’s lives.” One of Dr. Goldsztein’s most recent Project Access patients is Sylvia M. “When I saw Dr. Goldsztein, he told me it was born in him, this purpose that he had (to help others),” Sylvia says. “Since that day, I blessed Dr. Goldsztein. And it gives me great joy that there are still such good people. And I ask God that we are never missing those kind of people who give with their donations or with their work, it’s something very beautiful.” According to Dr Goldsztein, there was complex decision-making in her care, with multiple discussions to understand all available options. Sylvia made a decision she was comfortable with on how to proceed due to this patient-centered, caring interaction with her team of physicians (including Dr. Moses Salgado, ENT, Dr. Danielle Weiss, endocrinologist, and Dr. Cynthia Davis, ENT). Aidé, Sylvia’s daughter, adds, “The doctor explained it very well. We were worried. But then after the surgery and how fast she recovered, thanks to the attention she received with Project Access, the worries ended — because without Project Access we wouldn’t have been able to do anything about her condition. I don’t have the words to express for so much help.” Sylvia has been able to go on with her life and enjoy it even more, especially when playing with her many grandchildren. A person is more than their ears, nose, or throat, and the doctors at Pacific ENT Medical Group have known this long before they became physicians. These doctors listen, they work with their patients to get to the best solution, and both patient and doctor get to feel the joy that better health brings. If you who would like to volunteer with Champions for Health to provide pro bono specialty care for Project Access San Diego, or to be a presenter in our Speaker’s Bureau, please contact Adama Dyoniziak at (858) 300-2780 or adama.dyoniziak@championsfh.org. Ms. Dyoniziak is executive director of Champions for Health. Colleague, mentor, and doctor all imply a role we play in someone’s life and can inspire us to live into its meaning. CLASSIFIEDS PHYSICIAN OPPORTUNITIES IMPERIAL RADIOLOGY - RADIOLOGIST NEEDED: Our Facility is an outpatient Diagnostic facility located in Imperial, CA and we are in search of a Part-Time/ Full-Time Radiologist. All candidates must have an active California Medical License. Pay to be determined. Please contact us at info@carlsbadimaging.com if this job is of interest to you. FAMILY MEDICINE PHYSICIANS NEEDED: Graybill Medical Group is one of North San Diego County’s largest independent multi-specialty groups with over 80+ physicians and advanced practitioners. We currently have full-time openings in our Ramona and Valley Center locations (solo practices). Current CA and DEA licenses required. Must be BC/BE. Conduct medical diagnosis and treatment of patients in an outpatient setting. Bilingual in English/Spanish helpful. We offer a competitive compensation and benefit package including malpractice coverage and shareholder opportunity. Check out a full list of our benefits under Careers at www.graybill.org. Send CVs to ssnodgrass@graybill.org, apply online, or fax (760)738-7101. OUTPATIENT PRIMARY CARE OPPORTUNITY San Diego Internal Medicine Associates (SDIMA) is looking for a strong MD candidate to join our 6 physicians and 6 physician assistants in providing excellent care in a private practice setting. 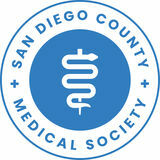 SDIMA is a well-established office with board certified internists and med/peds physicians. No hospital call. Please send your CV, or any questions you may have to Jared.Kowerski@SDIMA.com. hours consistent with a healthy work/life balance. Our office is modern, clean, and well appointed. Our staff is supportive, cohesive, and friendly. This a real family practice. Board-certified, California licensed MD and DO physicians who are passionate about medicine and interested in this opportunity should send their CV and cover letter addressed to Tricia at officemanager@ ljvfmg.com. Let us grow your practice according to your unique specialty interests and style. Responsibilities include: Provide excellent care, become part of a cohesive team, light call, maintain accurate and detailed medical records using EHR, comply with all laws applicable to family practice/internal medicine, including HIPAA, recommend lifestyle changes as appropriate to improve quality of life, Full-time, Part-time. (Posted 8/16/2018) PHYSICIAN NEEDED: Family Practice MD. San Ysidro Health is looking for an MD for our Family Practice center. The Family Practice MD manages and provides acute, chronic, preventive, curative and rehabilitative medical care to patients and determines appropriate regimen in specialized areas such as family practice, prenatal OB/GYN, pediatrics and internal medicine. Bilingual preferred but not required. Medical school graduate, CPR, CA MD and DEA License, board certified or eligible in primary care specialty. For more info on San Ysidro Health, visit: http://www.syhealth.org/ If interested, please email CV to Meagan.underwood@ syhealth.org. DERMATOLOGIST NEEDED: Premier dermatology practice in beautiful San Diego seeking a full-time/ part-time BC or BE eligible Dermatologist to join our team. Existing practice taking over another busy practice and looking for a lead physician. This is a significant opportunity for a motivated physician to take over a thriving patient base. Work with two energetic dermatologists and a highly trained staff in a positive work environment. We care about our patients and treat our staff like family. Opportunity to do medical, cosmetic and surgical dermatology (including MOHs) in a medical office with state of the art tools and instruments. Please call Practice Administrator at (858) 761-7362 or email jmaas12@hotmail.com for more information. LA JOLLA (NEAR UTC) OFFICE FOR SUBLEASE FOR 2-3 DAYS PER WEEK: In the 4520 Executive Drive bldg.. Excellent location between I-5 and I-805. Beautiful renovated office space with 2 exam rooms and large physician’s office for consultations. Ideal for Vein and vascular, primary care, pain management, physical therapy, rheumatology, infectious disease, dermatology, orthopedics. Interested parties, please email missyphilip@gmail.com ENCINITAS OFFICE SPACE TO SHARE/SUBLEASE: Longstanding (38 years) allergist in Encinitas has a 3000 square foot office space available to share/ sublease. Six exam rooms and a permanent private office/consultation room. Office is available Tuesday morning and all day Wednesdays and Fridays. Office located on El Camino Real in Encinitas.Please contact wwpleskow@sbcglobal.net or call 760-436-3988.
medically complex seniors. You must have experience providing medical care in Internal Medicine. In addition you need a DEA number, have familiarity prescribing Schedule II-V medications, be able to provide office gynecology, provide Tehehealth visits and perform basic dermatology procedures. Other duties may apply as deemed necessary. Spanish and/or experience with eClinicalWorks is a plus. Benefits include vesting into a 401k profit sharing retirement plan. Our office is located directly across the street from Scripps Mercy Hospital in the prestigious Mercy Building and we are staffed by two Internists and 8 additional staff. Salary $95,000$120,000 annually. Contact docpaul@sdmedgroup.com. MEDICAL OR DENTAL SPACE AVAILABLE: For lease a medical or dental related practice or business in an office space with other medical offices located in downtown Chula Vista close to Scripps Chula Vista hospital. First floor with ~1000 square feet. Available January 1st. 2 physician/dentist parking spots comes with lease and lease would be until June 4, 2020 or longer should you negotiate with the building manager. Sinks in 3 exam rooms, office space for physician/ dentist, bathroom, and laboratory area or additional exam room in addition to lobby/reception area. There is a long term subleasor on Fridays, so rent could be lower if you are willing to keep the subleasor, but asking: $2,000/month. Terms are negotiable. Please contact: dana@sdrheumatology.com | (858) 603-2068. MEDICAL OFFICE MANAGER/CONTRACTS/BILLING PERSON: MD specialist leaving group practice, looking to reestablish solo private practice. Need assistance reactivating payer contracts, including Medicare. If you have that skill, contact ljmedoffice@yahoo.com. I’m looking for a project bid. Be prepared to discuss prior experience, your hourly charge, estimated hours involved. May lead to additional work. CONTEMPLATING DEATH has a long philosophical tradition. In the Maranassati Sutta, Buddha taught that it was the ultimate meditation. Plato, in The Phaedo, called it the very basis of wisdom. Renaissance painters would remind the viewer of the lurking presence of mortality by posing a skull in an otherwise beautiful setting, such as in the Still Life with Crystal Ball (1625) by Pieter Claesz seen above. Aging and mortality are constant houseguests in a long-term primary care medical practice such as the one I’ve been part of for the past 35 years. Inevitably many of my beloved patients have sickened and died. The frayed telomeres, the scarred conduction system, the thinning aneurysm, or the tired immune system trigger some final, fatal event. Ecologists are fond of saying “nature bats last.” In medicine we might say that time bats last. In the long run, our best efforts at prevention and treatment are doomed to failure. Medicinal interventions are, at most, a series of delaying tactics. A cure, seen in this gloomy light, is “nothing more” than a setup for the next crisis, and doctors are merely comic relief artists in the grand tragedy of life. Speaking of comic relief artists, how can I not mention Izzy, the 31-pound dachshund-cattle dog mix who has been my constant companion for the past eight years, both in and out of the clinic? He is a proudly uncertified service dog, a stoic listener, a meditation teacher, a snoring metronome and an effective foot warmer on cold nights. His whiskers, like mine, are gray now. We, like my 94-year-old father, like every one of my adult patients, are growing old together and apart. Temporary (Like a Dog) Everything is temporary. That dogs age seven times as fast as we do Simply brings that fact into high relief. When we got you at 2, you became my second teenage son At 5, you were my junior colleague in the office At 8 years and 8 months, (according the the graph I drew) We celebrated turning 60 together Now, at 10, you are my wizened confidant. You can still make it onto the high master bed Although now, it’s front paws up and then a scramble Your hind legs tearing at the quilt during your ascent. I am eyeing the bed ramps at the pet store. In four years you’ll catch up to my father If you both make it. As I say, everything is temporary: your life, my life, my father’s life, my son’s life, this poem, and you, dear Reader. This poem, “Temporary Like a Dog,” is a meditation on the process of temporal change. If the philosophers and artists are right, such meditation can bring — besides wistfulness — a measure of peace and even loving kindness. To imagine yourself aging along with Izzy will at the very least place you in very good company. Dr. Bressler, SDCMS-CMA member since 1988, is on the Biomedical Ethics Committee at Scripps Mercy Hospital and is a longtime contributor to San Diego Physician. Vista Community Clinic is a private, nonprofit outpatient community serving people who experience social, cultural or economic barriers to health care in a comprehensive, high quality setting. GET PAID FOR THE CARE YOU DELIVER! We will help you advance your practice and maximize revenue with our extensive experience in billing, reimbursement analysis and insurance contracting. This ability, combined with our attention to minimizing overhead expenses through streamlining systems and integration of current technology, will result in the healthy and sustainable growth of your practice.